Alien hacker Vril Dox has framed Winn for terrorism after Winn uncovered evidence of his alien nature. Supergirl has helped Winn escape capture but to clear his name they'll need the help of Rabiah Zinoman - a hacker who makes Winn look like an amateur. Unfortunately, Dox is hot on their trail... and he has James Olsen under his control! Classic DC Comics fans could have a fun time with this book playing Spot The Reference. 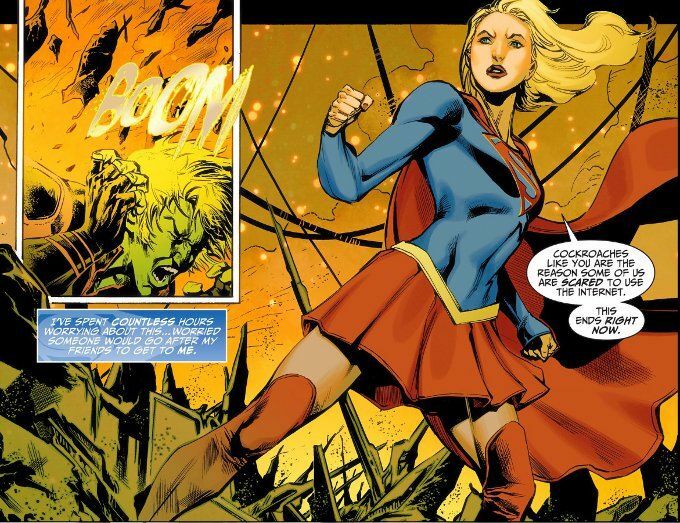 In this issue alone we find out Winn's login is SuperGirlInAction252 (a reference to the first comic featuring Kara Zor-El as a character) and Vril Dox is established as a native of the planet Yod (one of the three worlds cited as Brainiac's home-world). Thankfully for the rest of the Super-fans, Sterling Gates also writes a darn good action sequence and even manages to draw a neat parallel between real world hackers that use aliases, for good or ill, and superheroes/supervillains doing the same. The artwork for this issue is a marked improvement over the last one. Indeed, Pop Mahn's may have presented us with the best pencil and ink work this series has seen so far! 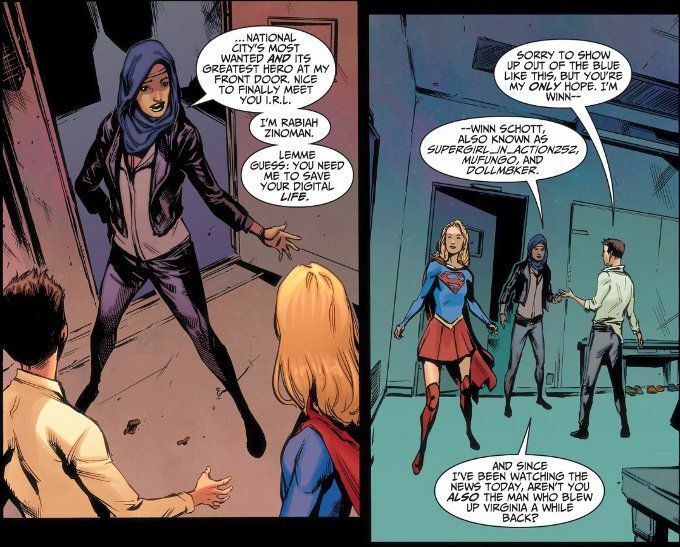 The story flows well from panel to panel and Kara looks like a young woman rather than an awkward teenager. The color art by John Rauch is also notable for its vibrancy.